Latest update: VW T5/LT bus separate immo box (Temic) ID:VWZ4Z0..
VDO SEED-KEY protected dashes supported ! VAG Kombiinstrument / Immo box eeprom programmer...by OBD connector! Direct USB to OBD Connection! All hardware inside OBD connector! 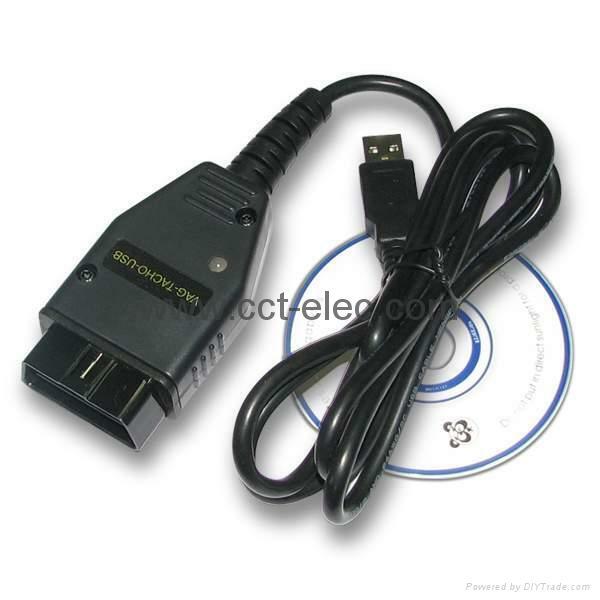 Works on any computer that has USB port! No more virtual COM Ports! This is a TRUE USB connection! Windows XP compatible software! Audi A3,A4,A6,TT, New Beetle Magnetti Marelli M73 (1998-2002 year) read PIN code / change mileage! Automatic functions: Repair dashboard, Read PIN code !